"...but I was the one there who felt out of place." 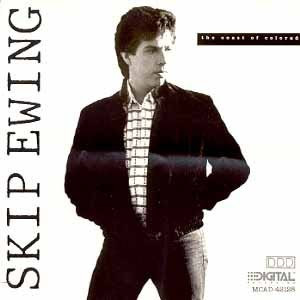 Skip Ewing...is a highly respected songwriter...mostly hidden in the shadows, while great artists from George Jones to George Strait record one song of his after another. But sometimes an original songwriter's interpretation cuts close to the elusive truth. When this happens...best to just stand out of the way. On this one...this clever rascal captured a genie. Lost Gem:--> "The Gospel According To Luke"...Skip Ewing's strength is seeing great things in small moments. And making them great, too. A sweeter, gentler song...you'll be hard-pressed to find. And it's okay to occasionally push the RnR aside. When it feels this good. I try hard to practice the words that I preach. He'd tell you the Gospel according to Luke. "Tell me one more time that love was only my illusion." 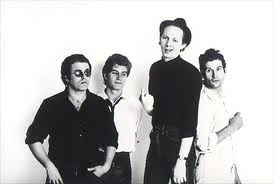 In 1979, Joe Jackson hit the States with one of the best albums of the year. Filled with venom and attitude...Jackson was quickly labeled... along with Costello and Parker as being "The Angry Singer-Songwriters". Joe Jackson would later evolve into much broader musical stylings than one single label could define. But Jackson's..."Look Sharp"...is the CD I reach for when I need a heavy dose of familiar frustration. Lost Gem:--> "One More Time"...and the ground rules are set. Gary Sanford's guitar jumps out from the speakers like a runaway town-crier. Graham Maby catches up with some wicked talented bass-bombs. 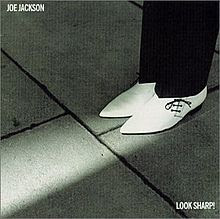 Both clear the way for the deliciously pissed-off Joe Jackson and his cynical...sarcastic vocals. This was new-wave-rock at its finest. Aggressive...catchy...with a stinging left hook and a point! Tell me one more time as I hold your hand, that you don't love me. Tell me one more time as teardrops start to fall. Shout it to me and I'll shout it to the skies above me. That there was nothing after all. Tell me one more time that we never had a thing in common. Tell me one more time as you turn and face the wall. Tell me I should know you never were my kind of woman. Tell me we were fools to fall. Tell me one more time your tears are only sad confusion. Tell me it's just been so long and that is all. Tell me one more time that love was only my illusion. You never answered to my call.